*03/29/19 Update - It was reported yesterday by Kyle's mother that he has been found. As the family now processes this new grief we wish them peace and closure. Kyle Crowden, 27, was a graduate of Mountain Home High School. He has not been heard from since Feb. 9, 2019. Search efforts for the hiker were initially stopped due to weather conditions, but his family will return to the trail head where his car was found on April 6 and 7 and are asking for the community’s help. 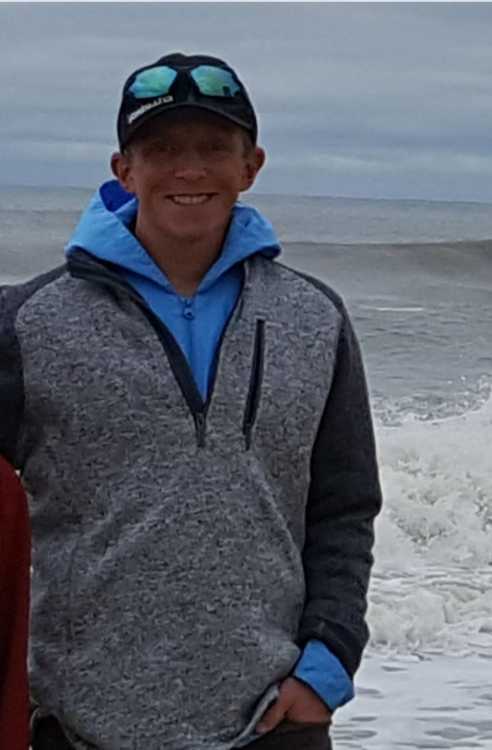 The Mountain Home News was recently contacted by the mother of missing hiker, Kyle Crowden, in an attempt to keep his story on the minds of the local community that he grew up in and to encourage people to join in the search as the weather warms. It has been a month since Crowden has gone missing and his mom, Janet Coupe, is desperate to bring her son home. Below is a statement from Coupe followed by an article published in the Idaho Press on Feb. 13, just a few days after the hiker went missing. “Kyle Is a 2009 graduate of Mountain Home High School. He has many ties to Mountain home and Boise. He was currently living in Boise Idaho when he disappeared. As a mother I can barely stand the pain of not knowing and the fear of what probably is the truth. I believe my son has left this life. I need to do everything in my power to do right by his remains and bring him home. Kyle is my youngest child. He was a light to our family always had a smile and a kind word. He had a passion for the homeless and hungry. He loved life, God and his family. I am asking my Idaho neighbors to keep the search going. Our family will be up at Dry Creek Trail on April 6th and 7th. We thank you in advance for keeping the search going. Bring Kyle Home. BOISE — When Kyle Crowden, 27, didn’t show up for a “mom date” with his mother Janet Coupe on the afternoon of Feb. 10, she thought he had just forgotten and had gone about his normal Sunday routine — laundry, hanging with friends, or maybe he got called into work. When he didn’t show up for work at Western Power Sports in Boise, Coupe knew something was wrong; Crowden is responsible, she said. Coupe and her best friend, Sharon Morrison, called and texted Crowden and drove back and forth in front of his apartment. But they never received a reply, and his car never appeared in its usual spot. Coupe started messaging his friends on Facebook, hoping for clues as to where Crowden could be. One tip from a hiking buddy led her to the Dry Creek Trailhead, about 4.5 miles up Bogus Basin Road. That’s where at 9:10 on Feb. 11, she found his car. Crowden didn’t tell her he was going hiking, but he went out to explore trails at least once a week, and often by himself. They never had concerns before. “He’s a good hiker,” Coupe said. He was neither recently injured nor sick, she said, at least not when he started. Crowden was last heard from the afternoon of Feb. 9, and for the past month, his family has searched alongside the Ada County Sheriff’s Office and Idaho Mountain Search and Rescue Unit volunteers. Coupe’s brother-in-law and son spent five hours on Feb. 13 braving the snowy trails with the search teams who walked all the way into Boise County from Bogus Basin. The conditions over the days have worsened. At the end of Feb. 13, when a three-man search crew returned, they had covered all of the best possible trail locations based on where Crowden’s car was found, rescue volunteer Christi Kelley said. That night the sheriff’s office suspended the search until weather conditions improve, the office announced on Twitter. “Rain, snow, and visibility limitations have made the search efforts challenging and hazardous,” according to the tweet. Two detectives in Boise have also been exploring any possibilities of what could have happened, Ada County Sheriff’s Sgt. Mike Rowe said. Crowden’s car was found untouched, with no indication of foul play. As Rowe stood with a huddled group of Crowden’s family and friends Wednesday afternoon, on a narrow turnout next to the busy mountain road, he promised they were not giving up. “We’ll be back as soon as the weather’s right,” he said. Bogus Basin was in winter storm warning until midnight Wednesday, with snow reaching down to the 3,500-foot elevation mark. The search has been taking place in elevations between 4,000 and 6,200 feet. In the lower elevations, search crews are seeing 6-8 inches of snow, and in the higher elevations up to 6 feet of snow, Ron Christensen, vice president of the Idaho Mountain Search and Rescue Unit, told the Idaho Press. Kelley, who had been out with the search teams previously, said a Snowcat could not even make it through the snow. Morrison, Coupe’s longtime best friend, described Crowden as wonderful, sweet, kind, caring and hardworking, as she sat in her car, passing out donuts she had picked up for the family and search team. Morrison was with Coupe when they found his car. “If I needed anything fixed or done, he would be there,” she said. Crowden grew up and went to school in Mountain Home. He and his mom and Morrison went to watch “many movies” and frequented restaurants. His favorite is Café Ole, Morrison said. The scope of the search team’s efforts, Morrison said, is “beyond what regular people do.” She hopes to find a way to get a portable toilet up to the search area for the teams to use during their long days. The family and the volunteers shared embraces on Feb. 13 as people in the group started to head down the mountain for the night. Many had not eaten or slept much, and some promised to search the trails on their own if they can. “What do you do?” Morrison asked. “You have no closure. It was reported yesterday by his mother that Kyle has been found. We pass our condolences to his family in this very difficult time but am thankful they can take Kyle home and have some closure. RIP young man.